Disclaimer: This is a sponsored post on behalf of Crock Pot. All opinions are my own. Oh yeah. It’s weird because I used to never crave beef. Then as soon as I stopped dieting and started listening to my body, I realized that I do have times in my life where I actually genuinely crave beef. It’s weird. Last time I tried a sausage and chicken dinner so this time it was a bit different flavor. 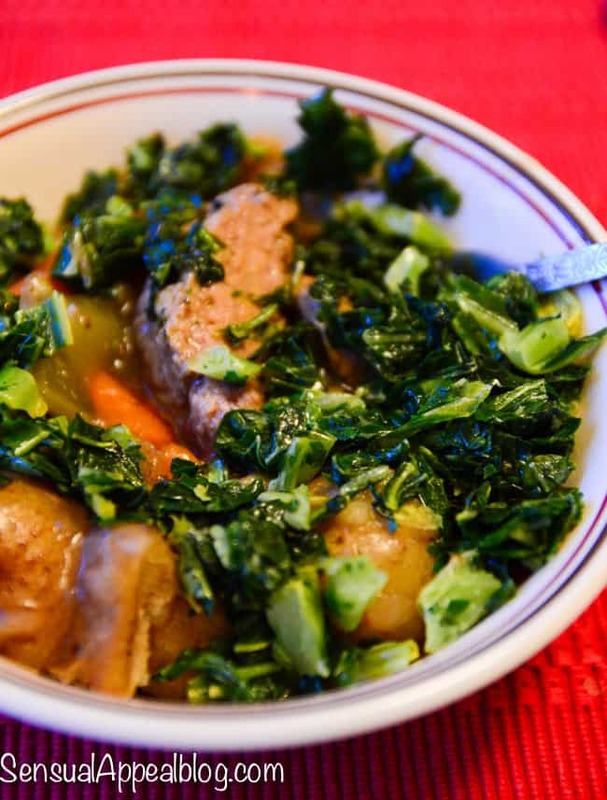 So I was pretty excited to try this dinner from Crock Pot Cuisine for Rustic Beef Stew. Cozy… homey… perfect for a chilly evening. The final out come was delicious but it needed some veggie action. 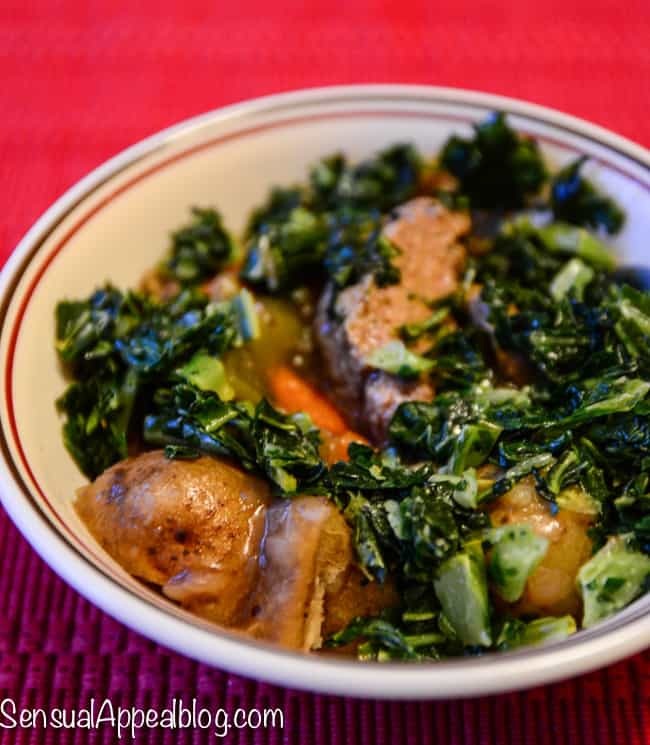 I got some kale out of the freezer and added it to the Crock Pot in the last 30 minutes of cooking to kick it up a notch. It was a perfect solution. It was new to me to eat potatoes like this because I’m not a big potato person (err except french fries on occasion, I guess – I love me some bar food) so it was interesting. I think the last time I had potatoes like this was… oh man, many many years ago. My parents eat healthy like me and do not really use potatoes either except for hash browns my dad likes to eat with eggs sometimes. Or potato pancakes. He’s obsessed with potato pancakes, or at least he was last time I checked. Want to try this or another meal yourself? 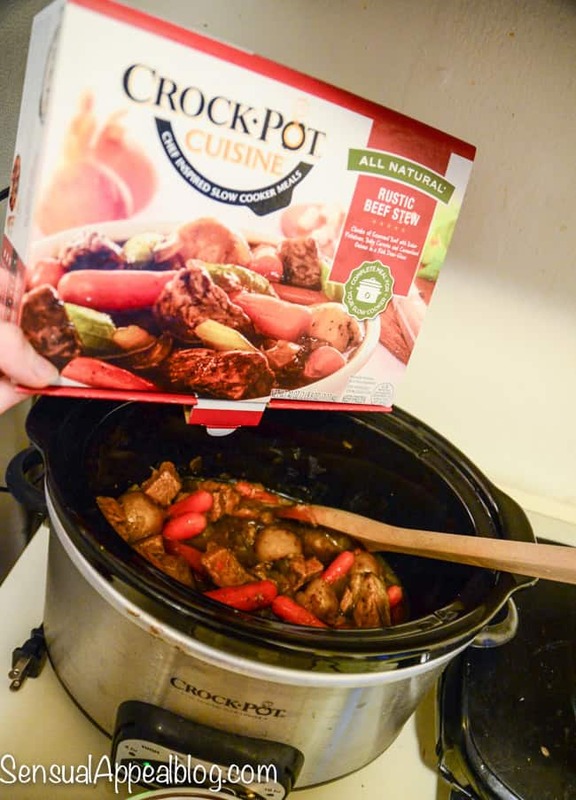 Get 25% off any Crock Pot meal using the code CPC25BLOGG at CrockPotCuisine.com, valid through March 31, 2014. Do you eat beef often? 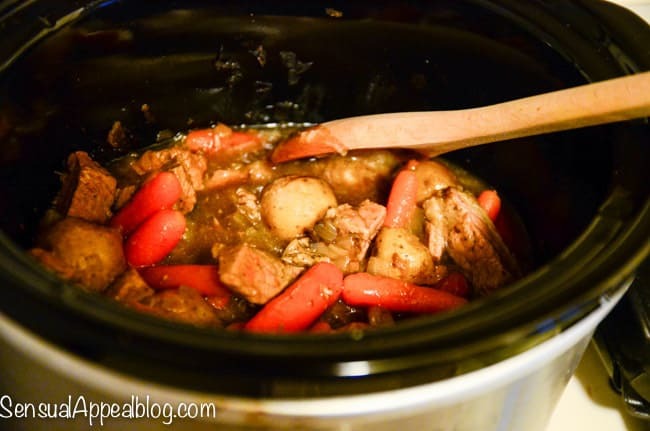 How often do you use your crock pot? Sounds like comfort food to me! So great that it’s made in the crockpot!